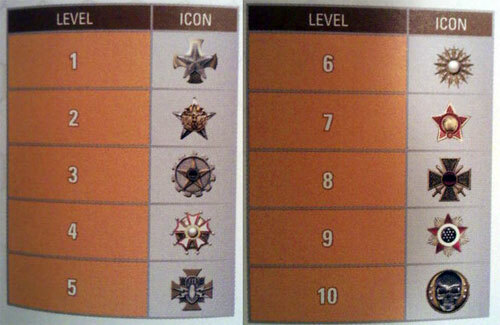 Some pages from the official Modern Warfare 2 strategy guide have been posted on the internet, with one page featuring all of the Prestige ranks. Every medal seems to be a star, except for the last one, which is a circle gold/silver skull. If you didn't know, Prestige mode allows you to gain a special medal next to your name. After you hit level 70 you have the option to go into Prestige mode, which resets you to level 1. You basically have to start over, but you gain one level to your Prestige rank.